Time is of the essence during an emergency. In extreme situations, quick responses can make all the difference between safety and harm. Part of that is determined by how well a message is communicated. Organizations should be utilizing systems and tools that give them the best opportunity to reach all of their people with safety messages. While some solutions may seem ideal, it’s important to take into consideration the notification limitations some tools may have. For example, in January, a college in California had an active shooter incident near campus. The mass SMS system the campus used was supposed to reach more than 70,000 end-users with a safety message, but only about 20,000 ended up receiving the message. The campus tested the system twice a year, but during a critical situation, it failed to reach even half of its intended audience. While the database of users was updated every night, and an error occurred causing certain people to be left out of distribution lists and restricting administrator access. The college was unable to resolve the problem until an hour after the initial incident occurred. In this blog post, we’ll explore the challenges associated with mobile-only notification solutions and offer ideas for how you can test your mass notification system every day to ensure it works when you need it most. 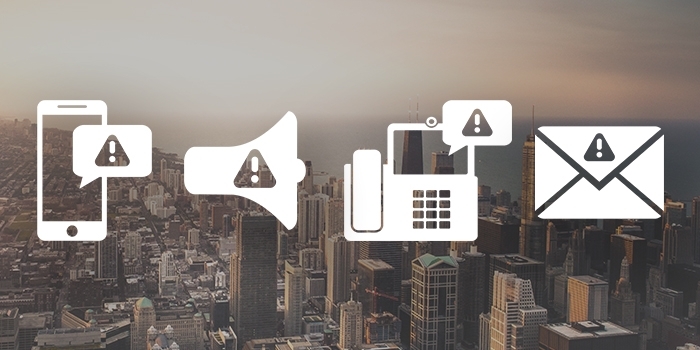 Due to the widespread use of mobile devices, many organizations believe a mobile-only notification solution is sufficient when trying to reach all of their people during a crisis. 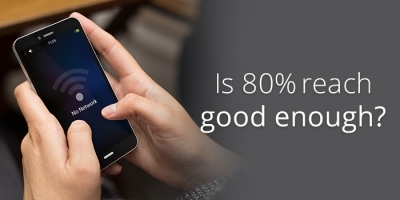 However, outside of the example we’ve already mentioned, research done at Western Washington University shows that mobile notifications are only about 80 percent effective. While that may seem like you’re reaching everyone, would you want to be in the 20 percent that didn’t receive an alert about a dangerous situation? Many factors can contribute to preventing mobile notifications from reaching 100 percent of their intended audience. As we’ve mentioned database errors can unintentionally exclude certain groups of people. Some environments may require people to have their phones on silent or put out of sight. Sometimes it’s as simple a fact as being in a building with poor cellular coverage or a large number of people using their mobile device, which then overloads a cell tower. It’s important to think of mobile notifications as a piece of a larger alerting solution, rather than the sole answer. Combining mobile notifications with on-premises notifications makes it much more likely your organization reaches 100 percent of its desired population. That’s because you’re expanding the devices messages can reach to IP speakers, desktop computers, desk phones, and digital signage, as well as expanding the types of messages you can send, like live intrusive audio. Part of the problem the college mentioned above encountered was that it only tested its system twice a year. To a certain degree that makes sense. No one wants to be flooded with irrelevant messages as it can cause alert fatigue, leading to messages being ignored during crisis situations. However, with a combined on-premises and mobile solution, organizations can leverage a mass notification system for daily use to test that it is working as intended. 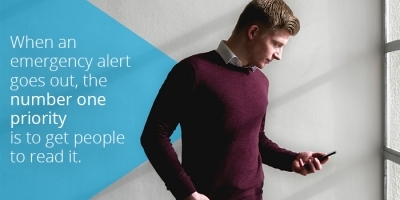 While the primary purpose of implementing a mass notification system may have been for safety, uses cases can expand beyond emergency situations to add more value and check that messages are reaching all people and devices that need to receive them. Different organizations may have different ways they can conduct this inadvertent testing. Hospitals can tie into overhead paging systems to send automated messages announcing that visiting hours are over. Schools can use it to automate bell schedules, communicate with parents about events and policies, and provide updates on inclement weather. Understanding the capabilities of your system will help you identify areas where it can be deployed on a more frequent basis. This will help you pinpoint issues and solve them during non-critical times.